A communication system based on “twisted light” is a viable technology that could make fiber optic lines obsolete. According to a collaborative team of researchers who used a process called optical angular momentum to “twist” light, the technology has the potential to carry more data without being affected by the turbulence of an urban space. This bodes well for creating a new mode of data transmission without resorting to physical cables or wires. Fiber optics is one of the fastest (if not currently the fastest) ways to transmit data. However, this method of carrying information is hogged by two limitations: first, it is dependent on building and deploying fiber optic cables; secondly, fiber optic packages tend to be pricey, especially for the highest speed and capacity. That said though, and excluding here the applicability factor, there is no shortage when it comes to finding new ways and ideas of transmitting data. 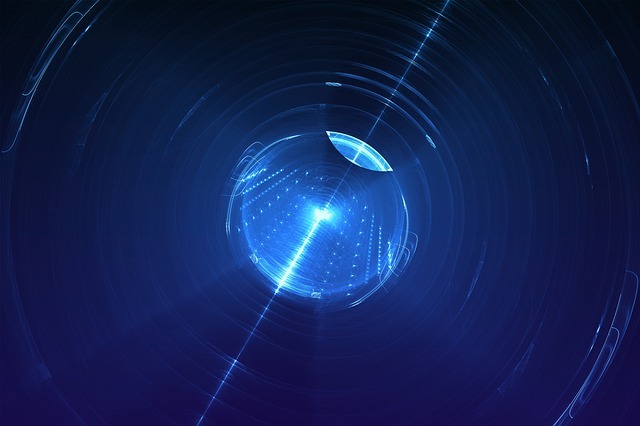 Researchers from the University of Glasgow in the UK, in cooperation with colleagues from Germany, New Zealand and Canada seem to have found a way to “twist” photons (particles of light) as a modern foundation for wireless communications. In order to achieve this, light has to undergo a process known as ‘optical angular momentum’ or OAM). One way to twist light is by letting it pass through a special hologram, like that one found on credit cards. Such light can carry more than just binary bits of 1’s and 0’s; this is akin to how quantum networks can carry more data in the form of “qubits” (quantum bits). If the conditions are right, light can carry a large amount of data through long distances without any issues. This is promising as OAM-based systems can create connections that have higher bandwidths than what we have today. It should be noted that researchers in their study weren’t simply looking to stuff more data per transmission. They also wanted to test if OAM transmissions were strong enough to withstand interference from turbulent air, something that had not been observed in earlier studies. In a 1.6-km urban space in Erlangen, Germany, they beamed light in such a way to test if the system could survive signal disruptions in a turbulent high-rise buildings and open space environment. In the end, they were successful as the method proved effective. Still, there are other important elements in the system that need further tweaking and exploration. Researchers for instance, are unsure how other extreme weather factors (like rain and snow) can affect data transmissions coursed through OAM methods. Another one is, how much information the system can effectively handle. On the bright side however, while a photon-relying technology is obviously not effective in indoor settings, implementing OAM transmissions could create a much faster internet. Additionally, and more importantly, free space optics technology will not only drastically reduce the need for physical cabling, it will also lead toward improving quantum information transfer which is a crucial step toward the development of a network for quantum-encrypted communications and quantum computing-a technology ‘only’ millions of times more powerful than today’s current computing systems. The study is published in the journal Science Advances. It was a collaboration with researchers from University of Glasgow, Max Planck Institute for the Science of Light and Institute of Optics, and the Universities of Otago, Ottawa and Rochester.